In Greek mythology, the Moirai or the Three Fates were the incarnations of destiny. Clotho, Lachesis and Atropos controlled the metaphorical thread of life of every mortal from birth to death. The Red String of Fate has its origins in Chinese legend. The gods tie an invisible red cord round the ankles of those who are destined to meet one another in certain situations, or to help each other in a certain way. Researching these stories led me to imagine a planet where the most accomplished stitchers in the universe are gathered together to map out the future of the cosmos through their stitching. The imagery they create tells the stories of the universe and how it will end. My marble represents Acia, the planet of the thread. 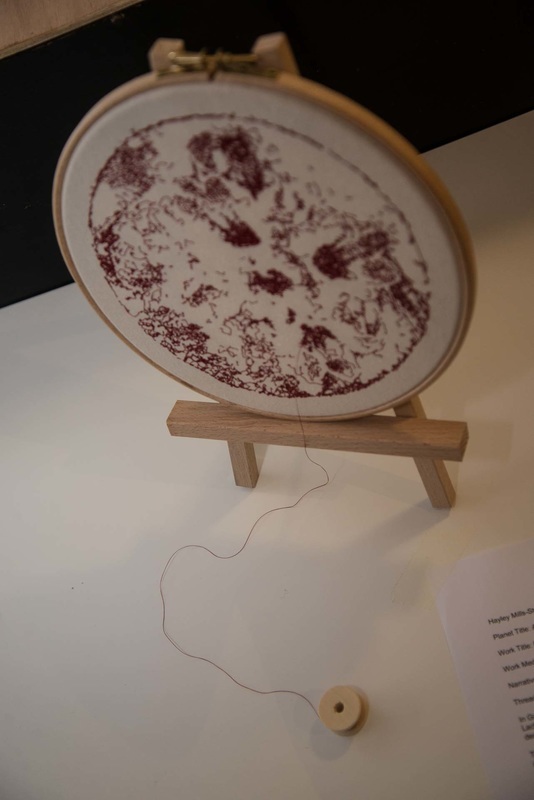 My own practice uses thread to tell stories but as an artist working with textiles I often occupy a grey area in the art world. 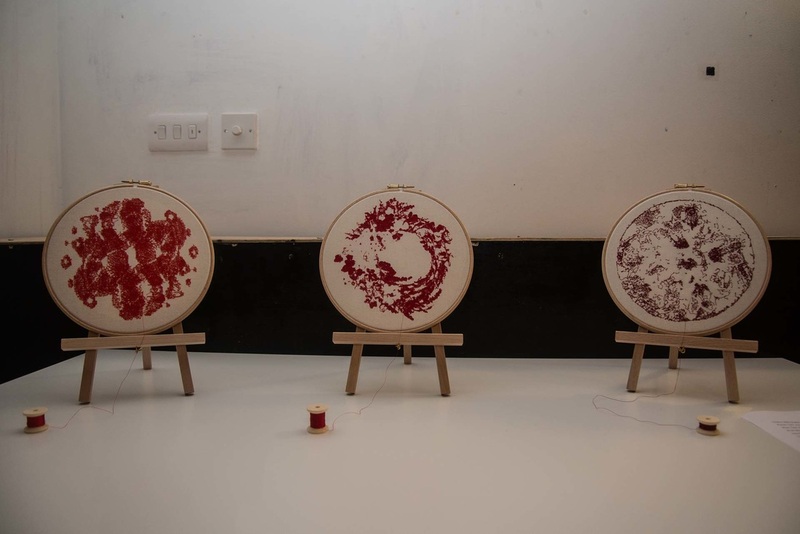 “The status of textiles as an art medium is highly ambivalent. 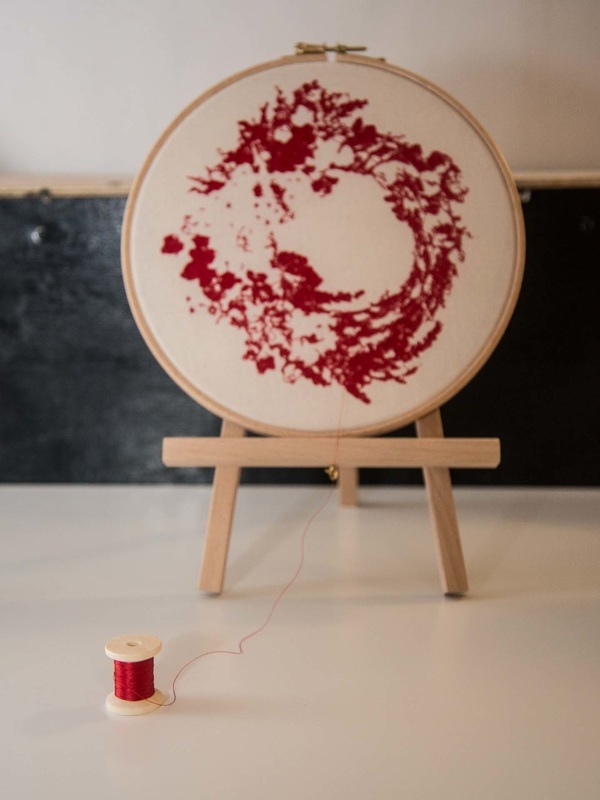 The abstract images of Planetine Threads were created by deconstructing cross stitch patterns featuring traditional floral motifs. These patterns are commonly found in kits, ready for people to stitch out following a complicated graph mapping the stitches and colours. These graphs resemble star charts mapping the constellations, leading back to my interest in Greek and East Asian mythology. Rather than stitching the abstract images by hand I use digital technology to manipulate the original motifs. 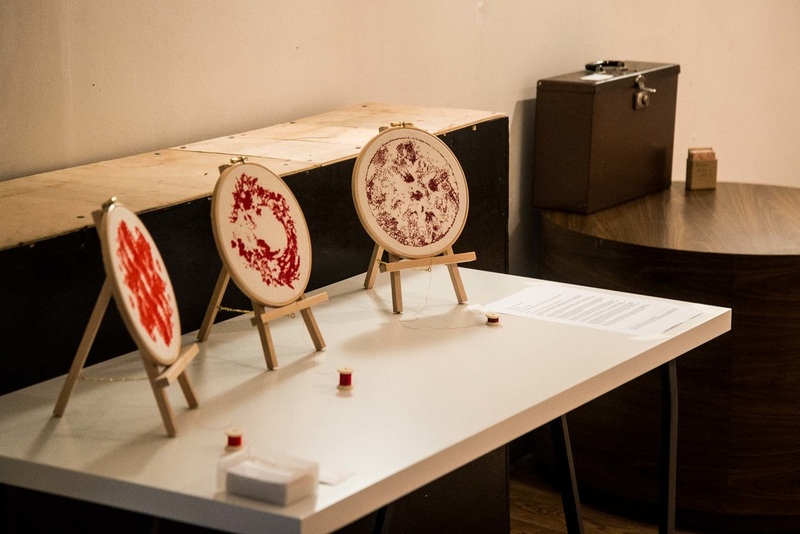 Although it is perceived that digital embroidery takes away the painstaking work that hand embroidery requires, each embroidery took fifteen hours to complete.